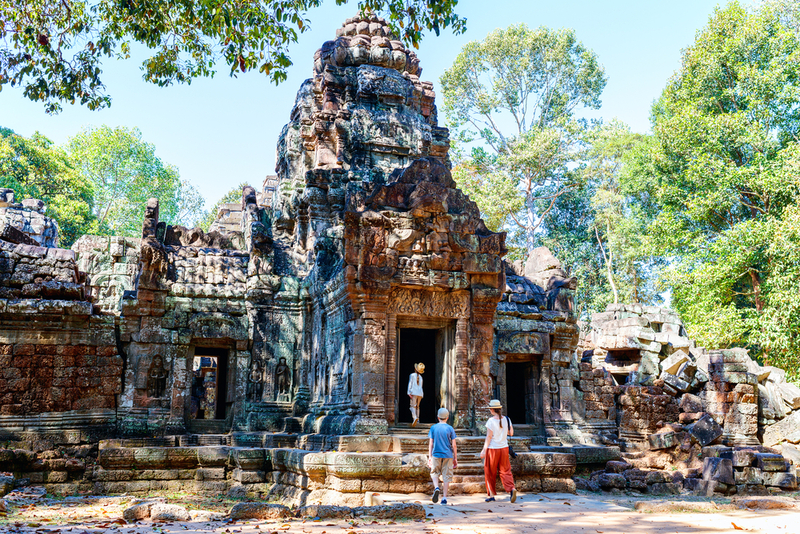 Steeped in history but young at heart, Cambodia makes for an unbeatable family holiday destination. Impressive museums sit alongside buzzing street markets in the capital Phnom Penh, Battambang blends distinguished old-world airs with amiable small-town charm and Siem Reap boasts both the timeworn temples of Angkor and a plethora of outdoor excursions for the actively inclined. On this trip the whole brood will become acquainted with everyday Khmer life and traditions on guided city tours, cycling forays out into the surrounding countryside, visits to rural village homestays and explorations of World Heritage-listed Angkor Wat. With a careful balancing of included activities and free time, this is a trip perfectly crafted to the whole family. Arrive in the heat, hustle and bustle of Phnom Penh. Once considered the Paris of the East it is an exciting and absorbing city where scooters pack the streets and temples stand defiantly alongside modern developments. Decimated by years of civil war the city has stepped out of the shadows and the charm of yesteryear is reemerging. Our hotel is in the heart of this incredible city. A welcome group meeting will be held today at 6pm with an optional group dinner after the meeting. Accommodation in Phnom Penh at a well-located family style hotel. This morning we take a Cyclo Centre cyclo (bicycle rickshaw) trip to explore some of the historic buildings in the riverfront area. Afterwards there is free time for exploring. In the afternoon we journey by remork (local tuk tuk) and local boat to a Mekong Island to see the lifestyle of the people who make their living from silk weaving, agriculture and aquaculture. We finish by taking a boat cruise to enjoy sunset at the junction of the Tonle Bassac, Tonle Sap, and the mighty Mekong Rivers. Today we travel by private bus through the countryside to Battambang. The journey takes around 4.5 - 5 hours and we will stop to see local pottery-making along the way. 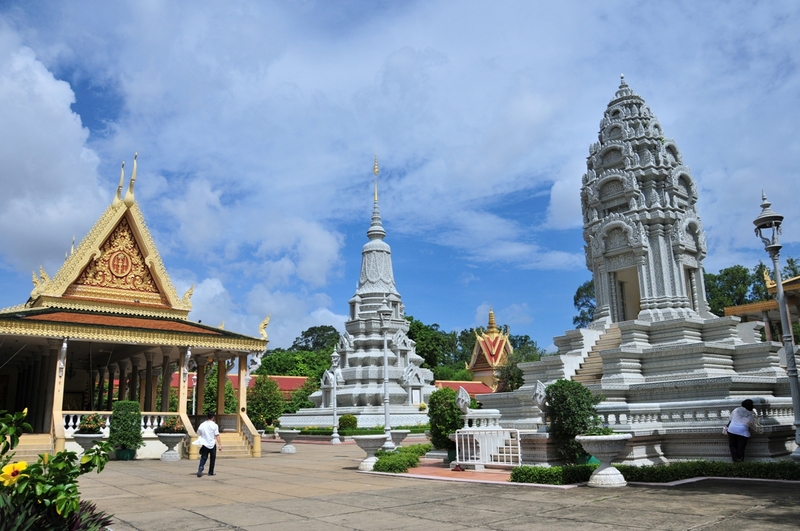 Cambodia's second-largest city, Battambang, (pronounced Battambong) is an attractive riverside town with traces of French elegance, friendly Khmer people and well-preserved colonial architecture. Tonight, after settling in, we journey by remork to a local family’s house to enjoy a home cooked Cambodian dinner and hear about life in Cambodia. A half day bike trip takes us through the beautiful surrounding countryside of Battambang. We stop along the way to discover the local rural way including small cottage industries producing sticky-rice cooked in bamboo, rice paper making, dried banana’s (like a roll up), and smelly fish paste making. It is an easy ride and bicycle is the best way to explore the quiet countryside. Helmets and smaller bikes and a bike attachment called a “tag along” are available for children. For those unable to ride there is also a remork (local tuk tuk) available. In the afternoon there is the option of riding the Bamboo Train. Previously mainly used for transporting agricultural products and people it is also one of our visitor’s favourite activities. The train is made of a wooden and bamboo carriage powered by a small engine. Maximum speed is around 15 km per hour and it can easily be disassembled when carriages come in the opposite direction. Today after breakfast we check out of our hotel and journey by private minivan to Siem Reap. On the way we can stop at Angkor Silk Farm where you can see the whole silk creation process from growing the food for the silk worms, breeding the worms, silk extraction, spinning & refinement, traditional dyeing to looming. Angkor Silk Farm is part of the Artisans DÁngkor not-for-profit organization set up to revive Cambodia’s artistic pursuits and provide employment opportunities in poor rural areas. After breakfast we are picked up by our local guide and taken to explore the remarkable temples of Angkor. 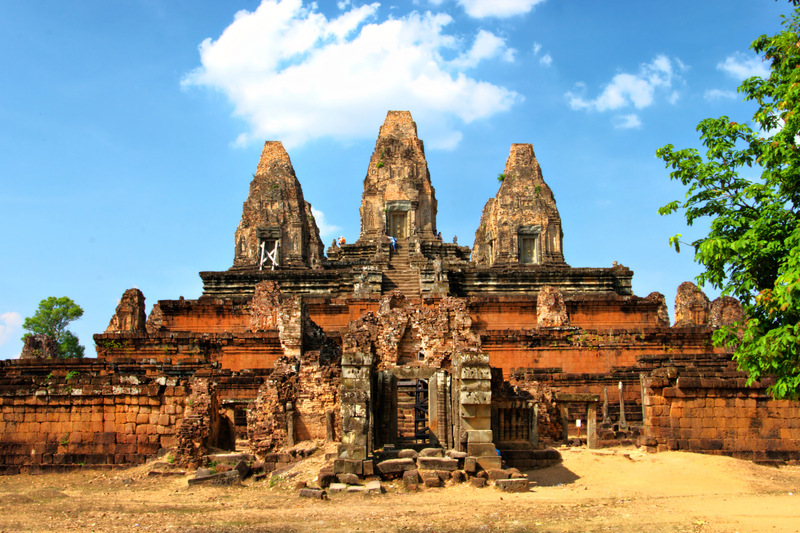 Built between the 9 – 12th century the temples were meant to represent the cosmic world and as such are perfectly aligned in balance and symmetry. You might like to stop to see monkeys that gather on the temple ruins along the way. Today’s visit includes Angkor Wat - the largest religious site in the world, Ta Prohm – the jungle temple made famous when Tomb Raider was filmed there, and Bayon – with its 54 towers decorated with more than 200 enigmatic smiling faces. On the way back to town visit the exquisite Banteay Srey (“Citadel of the women”). 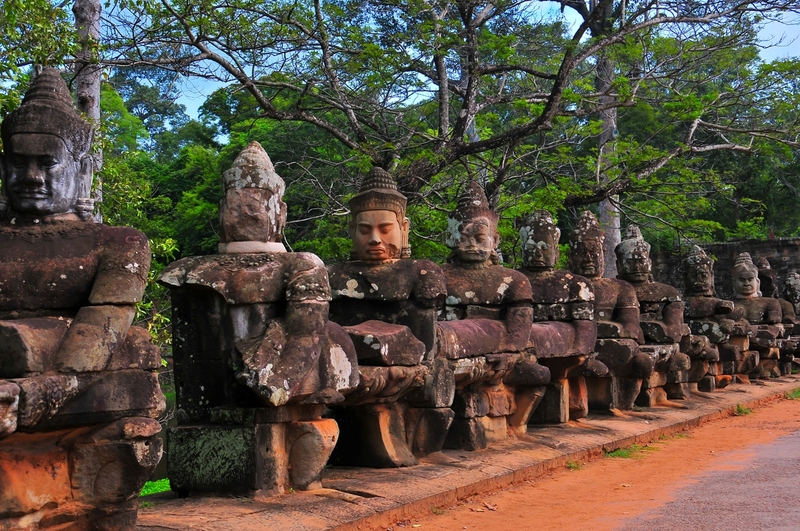 The small temple displays some of the finest examples of classical Khmer art carved into the pinkish coloured sandstone. You may also like to stop at the Landmine Museum which was set up in 1997 by former-child soldier Aki Ra. The Museum aims to tell the story of landmines in Cambodia and to inspire people to make a difference. Today is departure day and no activities have been planned. If you are not templed out, your three day temple pass allows you to return to explore some more of Angkor Archaeological Park on your own. Your leader can help you arrange a remork or car to take you out. If you have extra time you might like to schedule a tasty Khmer Cooking Class, a trip to the Tonle Sap Lake – a UNESCO Biosphere Reserve, indulge yourself with high tea at Raffles Hotel, or simply relax by the hotel pool. All Get About Asia trips have been designed to make sure you have an unforgettable travel experience. We have developed several trip styles to cater for our diverse range of travellers. Read what your ideal Get About Asia experience might look like here. All GetAboutAsia prices are based on twin share and depend on availability and season. All our itineraries can be customised including international flights and extra nights. For questions or further information, Enquire Now! Hotels each night of the itinerary (excluding your departure day). All GetAboutAsia accommodation is handpicked by us. Upgrades are available for this itinerary. Availability of accommodation and season.